Objective: To observe the "New India Manthan Sakalp se Siddhi"
KVK-Khordha, ICAR-CIFA observed the “New India Manthan-Sankalp se Siddhi”. The meeting was inaugurated by Shri. Dharmendra Pradhan, Hon’ble Minister for State (I/C), Ministry of Petroleum and Natural Gas, GOI. A pledge was taken on the occasion to double the farmer’s income. Shri. Dharmendra Pradhan emphasised on the attempts taken by the government for the improvement of farmer’s income and welfare. Dr. Ashok Dalwai, Additional Secretary and CEO, Department of Agriculture, Cooperation and Farmers Welfare, New Delhi was the Guest of Honour. Dr. J. K. Jena, Deputy Director General (Fy. Sc ), ICAR, welcomed the gathering. The seven point strategy to double the farmer’s income was deliberated by Prof. Damodar Parida, Retired Professor from OUAT, Bhubaneswar. Dr. S. S. Singh, Director, ICAR-ATARI, Zone-V, Kolkata delivered a special address. 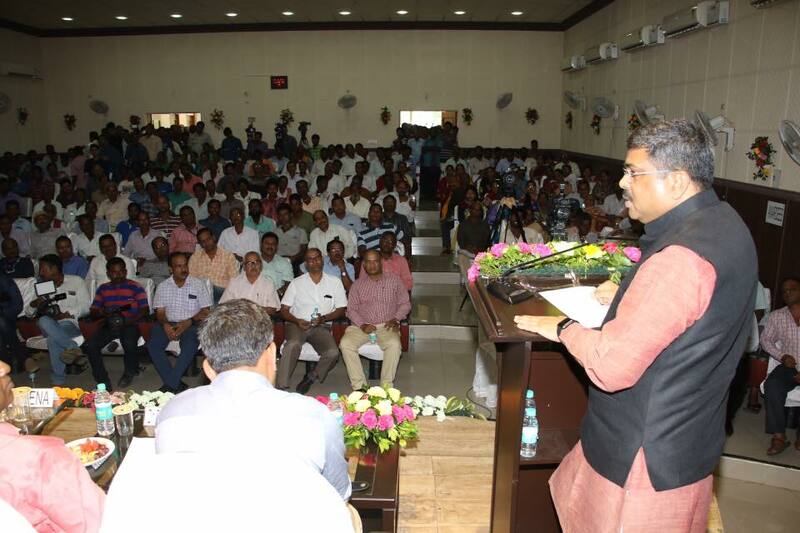 Farmers (281) and officials (21) from Khordha district attended the programme. Dr. J. K. Sundaray, Director, ICAR-CIFA proposed the vote of thanks.